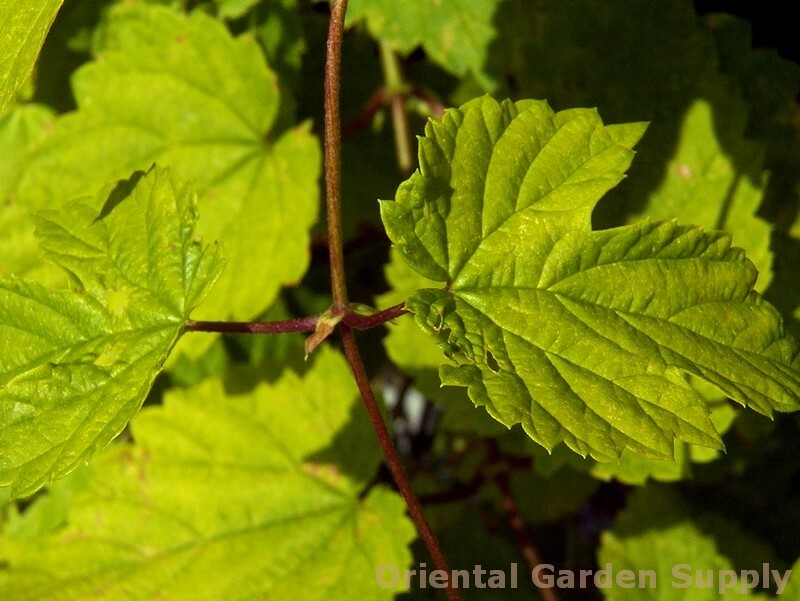 Product Information : A less aggressive hops vine with glowing golden-yellow, toothed, sometimes deeply cut leaves used for its ornamental value. Well-suited to home gardens. Stems are mildly prickly. Attractive strobiles if left on the plant for winter interest.